So many lovely books to be read and to be reviewed. Hoping to get my writing pants back on and post some reviews this weekend. Motivation come out come out where ever you are! What did you all think of these? I’ve read four of them (hint: the four without birds on the cover!) and found them all to be quite good. Probably To Capture What We Cannot Keep was my favorite. Enjoy! I enjoyed that one as well! I also liked The Twilight Wife- I’m a sucker for creative but still fairly predictable twists in a thriller. 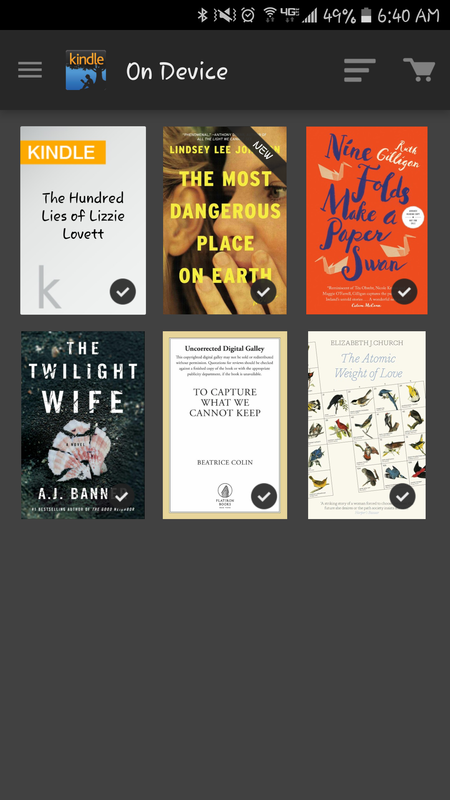 I’ve only read one of those books, The Hundred Lies of Lizzie Lovett. I thought it was an OK book, it was a little weird, but still interesting.